We’re only two months into 2017 and horror is already having a standout year on the big screen, both critically and at the box office. While installments from the Underworld, Resident Evil and The Ring franchises underperformed (though Resident Evil: The Final Chapter did terrific worldwide), they were worthy sequels. But M. Night Shyamalan’s Split has been a bona-fide hit, and now, fellow Blumhouse release, Get Out, is proving to be the same. With a near 100% approval rating on Rotten Tomatoes (there had to be one lone d-bag to go against the grain), the film is being hailed by many as being more than just a horror movie with its examination of racial issues. But don’t be misled – Get Out is definitely a horror film, and an exceptional one at that in every respect. 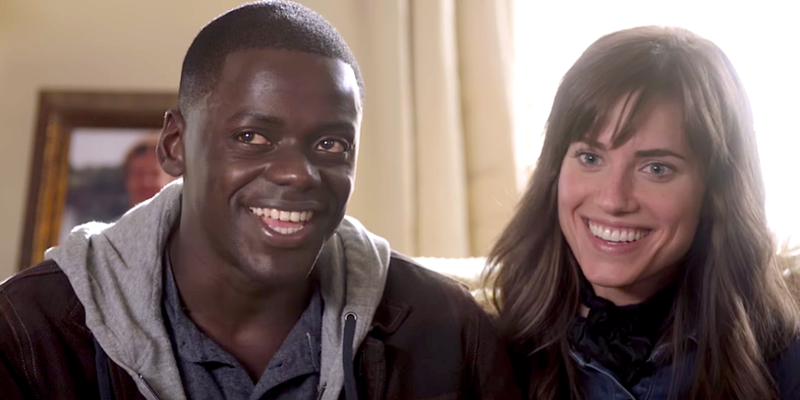 After an opening sequence that sets the stage that this is indeed a horror film, we’re introduced to young couple, Chris and Rose (Daniel Kaluuya and Allison Williams). Now, he’s black and she’s white, and in this enlightened age that shouldn’t be an issue as Rose brings Chris to meet her parents for the first time. Chris comments that he doesn’t “want to get chased off the lawn with a shotgun,” jokingly, sure, but with an undercurrent of truthfulness as well. After a road mishap, Chris does meet Rose’s mom, a psychiatrist (Catherine Keener) and dad, a neurosurgeon (Bradley Whitford), who do seem totally cool with him, if not overly so (Dad, just like his daughter had said, would have voted for Obama for a third term. Alas, wouldn’t we all have?). The folks aren’t the only ones living at the estate – they have a groundskeeper and a maid, both black, for which Dean, the dad, explains they were kept on after doing such a great job caring for his now-deceased parents. But Dean notices something is decidedly off about these two. After a party where everyone (decidedly white) seems to take a special interest in him, Chris becomes more and more uncomfortable to the point where he feels it may indeed be time to, get the f out. Get Out is the brainchild of comedian, Jordan Peele, who wrote and directed the film. Best known as one half of the Comedy Central duo, Key & Peele, and as a cast member on MADtv, this marks his directorial debut (he also co-wrote and co-starred in last year’s Keanu). With such a strong comedy background, who knew that he had this kind of extraordinary film in him? In Get Out, after masterfully setting up the basic premise, Jordan peels away the various layers (yes, pun very much intended – when you’re thrown a pitch right over the plate, you swing) gradually, little by little. There is very much a creepy Stepford Wives/Body Snatchers/Westworld vibe going on here. That description only scratches the surface as Peele digs deep into what it means to be African-American, or any other minority, living in today’s good ol’ U, S of A. Even those who aren’t overtly racist or have hate within their hearts can still be misinformed or unaware of what others have had to experience or endure. As the one seemingly normal character explains to Chris at one point, “they mean well, but have no idea what real people go through.” Peele is apparently a big horror fan and looks to continue in the genre, which is good news for us fellow devotees of fright fare. In addition to such a thoughtfully created script and crisp direction, Get Out succeeds thanks to its wonderful cast. Daniel Kaluuya is terrific as lead protagonist, Chris, reacting with class and dignity amidst the continuous onslaught of racial disrespect thrown his way, whether overt or not. He’s able to go from vulnerable and fearful to strong and commanding in carrying the film. Allison Williams (HBO’s Girls) is very appealing as Rose, as she’s not afraid to stand up for her boyfriend. Bradley Whitford and Catherine Keener put in solid performances as the parents, and Stephen Root adds another memorable role to his long resume as a blind art dealer. 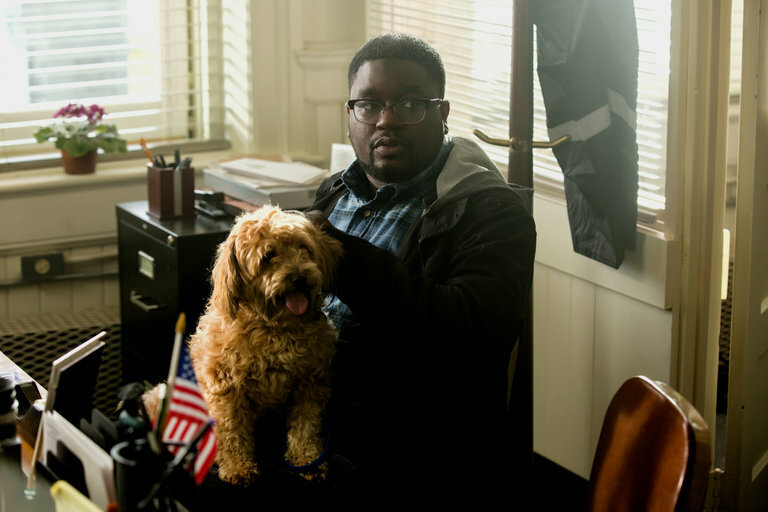 However, the breakout star of Get Out is one LilRey Howery as a TSA agent, and Chris’ best friend, Rod. In what could have been standard comic relief, Howery brings so much more to the table as he virtually steals the picture. He livens up every scene he’s in as he offers sage advice to his friend and seems to have a better grasp of the situation than anybody else. As he describes his job as T.S.A. agent, “we handle things,” making heroes out of a profession that often gets underappreciated and maligned. It cannot be understated how entertaining and enjoyable his performance is. You’ll no doubt be seeing a lot more of Howery down the road. Get Out, though made during a saner time in America just a year ago, couldn’t be any more timely than it is today. In our current climate here in America of heightened racial tensions brought to the surface thanks to a so-called leader who ran a campaign based on divisiveness and hate from day one, it’s important to understand the various layers of racism that exist in the modern world. Though it’s easy to recognize obvious acts of bigotry such as derogatory sayings written on a wall or epithets yelled at people of a different race or culture (again, instances which have notably increased since a certain individual who stoked the flames of hate and anger came into power), there can also be instances that are less noticeable where differences among people are centered on rather than embraced. Once again, it is the horror genre which brings to light important and relevant issues in an entertaining way, rather than the often heavy-handedness of so many Oscar-bait movies. It’ll be interesting to see if such a universally acclaimed film as Get Out will be recognized accordingly come awards time at the end of the year. Until then, let’s hope we can get through this dark stretch in American history (not our first) and come out the other side a more civilized and broad-minded nation. Yeah, I try to go lightly on the plot, just enough to pique interest and give a general overview of what you’re in for. Too often trailers and TV spots reveal too much already – I certainly don’t want to take away even more surprises. 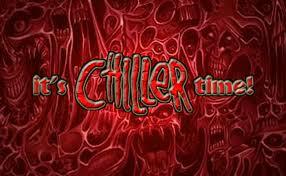 Hope you like the movie!